In a pan on medium heat, dissolve 1 cup of brown sugar in 1 cup of water. Add 1/2 Cup of chopped fresh figs (or substitute dried figs if no fresh available) and bring to a boil. Cover and remove from heat, let steep for 25 minutes. Fine strain into a glass bottle and keep refrigerated for up to 2 weeks. 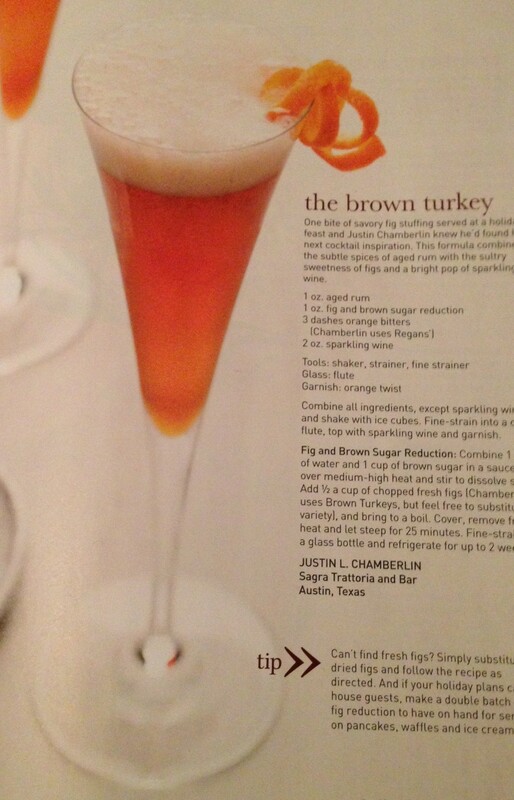 With Thanksgiving just around the corner, I thought this sounded like a fun and somewhat different kind of drink option for the holiday. 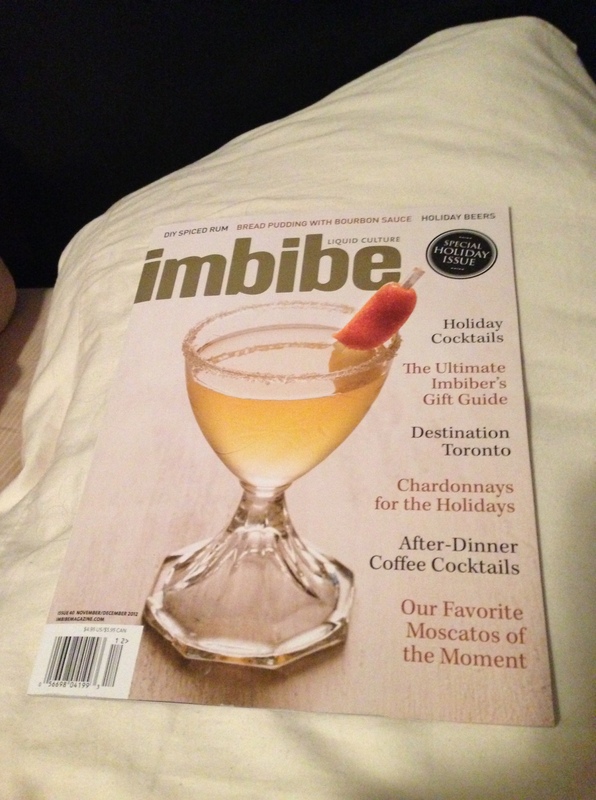 I found this recipe in this months ‘Special Holiday issue’ of Imbibe Magazine and think it sounds really quite yummy. I have to say, this is the first time I am putting up a drink as ‘drink of the week’ that I have actually not yet tasted! It’s an intriguing recipe that sounds like it would be quite tasty though. I love figs and find them to have such a delicious natural sweetness that I believe would pair beautifully with aged rum. ‘A formula that combines subtle spices of aged rum with the sultry sweetness of figs and a pop of sparking wine’. I’m curious to see if the addition of bitters comes through strongly or not though. I do intend on having my boyfriend create it next week to go with our thanksgiving feast, and I will be sure to report back on how it turns out. For now here is the recipe for all my Fussy readers who may wish to attempt it themselves, feel free to get in touch if you do make it and let me know how it goes.